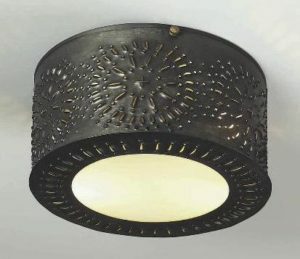 Hammerworks handmade Colonial Punched Tin Witch’s Hat is a great choice for your reproduction period home. Of course we craft each chandelier by hand in New England. 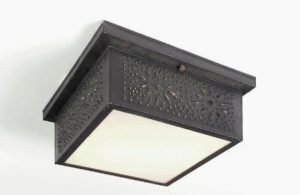 Most noteworthy as with all of our Early American lighting, we apply the punched design completely by hand. This results in a reflection of the piercing on the ceiling creating a unique ambiance. Furthermore we make tin “Witch’s Hat” chandeliers without the punched design if you prefer. In addition there is a “down light” in the center cone for added illumination. 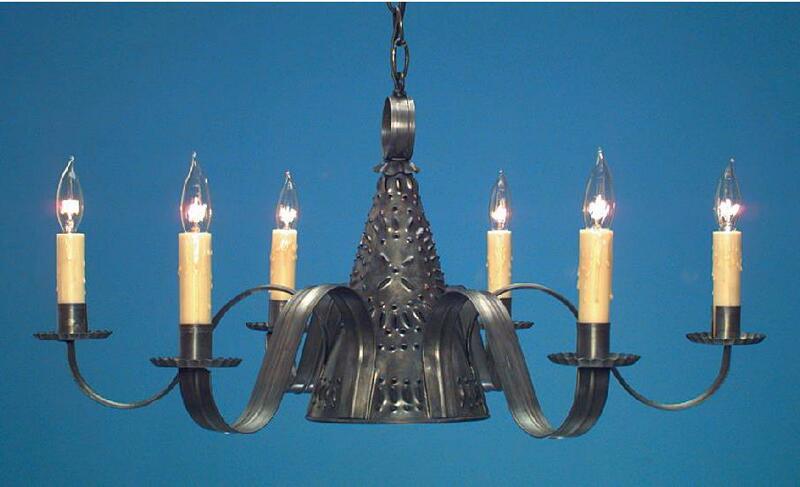 Also these pierced tin chandeliers come in antique tin or brass finish, with a variety of arm configurations. Finally the center cone takes a 60 watt medium base, while the arms accommodate 60 watt candelabra base bulbs.